This is one of the best around Lilac. Been wanting to try this resto for ages now and on my first time, I know this will be one of my favorites. With its generous serving and glorious food, I bet everyone would love this place. It's actually one of the reasons why I think this place is famous around Marikina and its neighboring cities. Lliac St. is the Maginhawa of Marikina, and with the food industry booming in every corner, this resto still manages to be one of the best. And I believe it will remain that way for a long time. Singlish cafe is a fusion of Singaporean and Western cuisine. I don't know if some of their menu is seasonal but there's this one time, when I ordered Laksa, the server said it is still not available. And until now, I'm still waiting for that day I can taste their infamous laksa. What I liked though is their Roti Prata, Mee Goreng and Hokkien Mee. 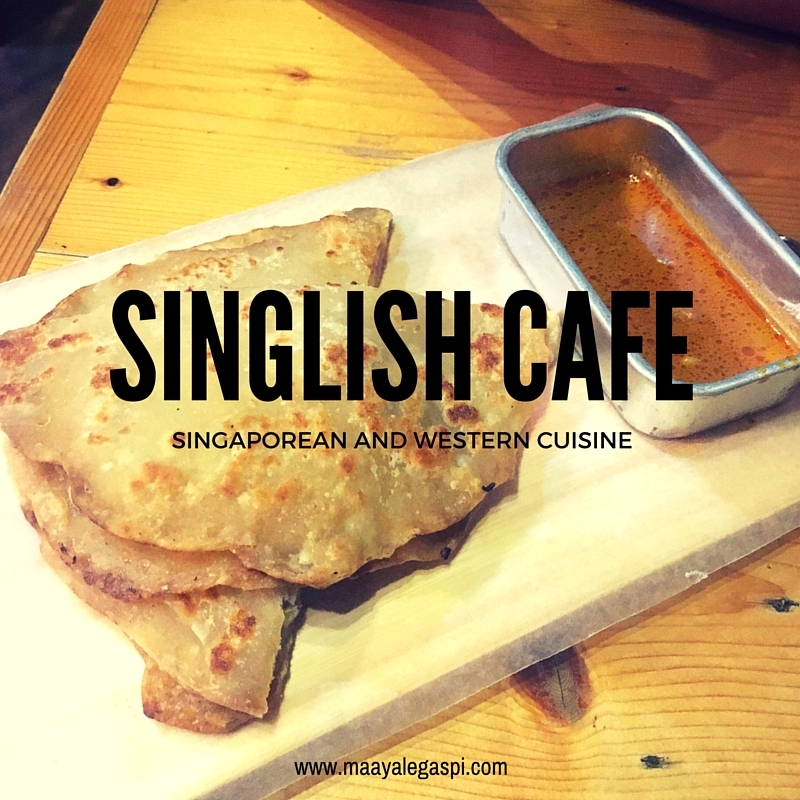 Their Roti Prata with curry sauce is the best way to start your meal. The curry sauce is not too powerful, it is a little bit bland but goes well with the roti prata. It doesn't matter what variant you choose because I think it's all yummy. Their Mee Goreng and Hokkien Mee on the other hand has big serving. This is literally good for 2 people. Hokkien Mee is a little bit spicy but I don't mind as long as there's prawn on the side. Hihi. It is very tasty and great for seafood lovers like me. 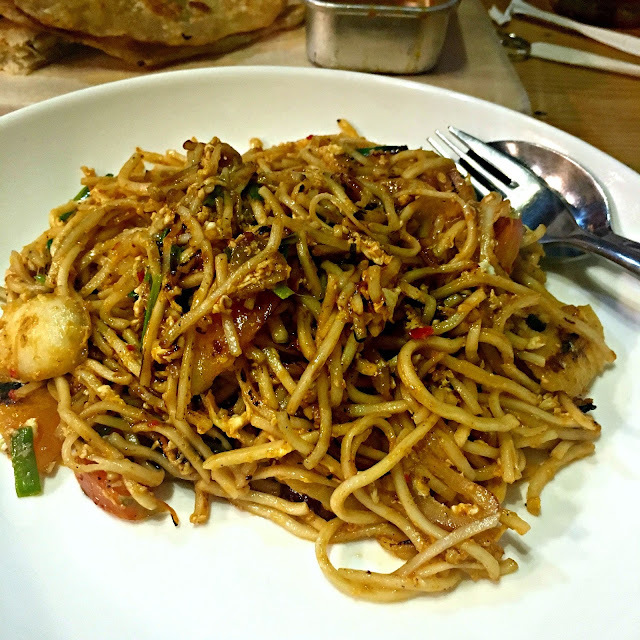 Unlike Mee Goreng that's somehow sweet, this dish is is perfect for cold rainy weather. 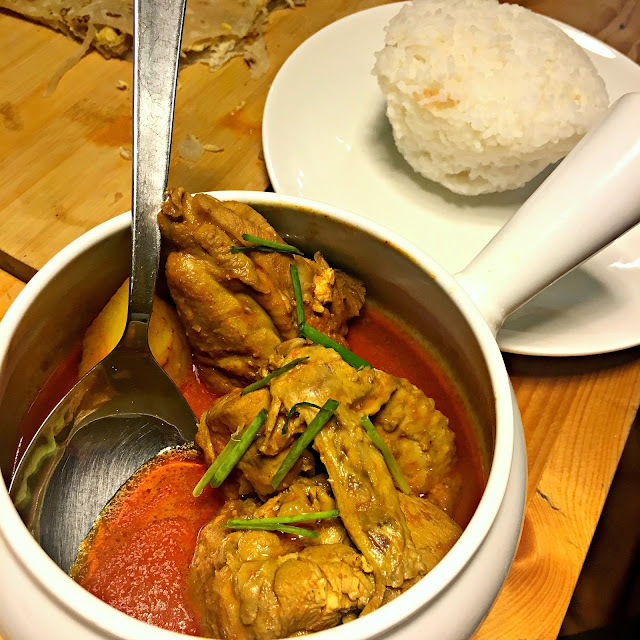 Their chicken curry is also the real deal! My boyf approves of this. haha. What we haven't tried yet was their western menu. When we come back, hopefully, there's laksa already then I'll convince the boyf to try their burger. lol. Oh, and order sugarcane juice for drinks! As for the ambiance and the seating capacity, if I'm right, only less than 20 can be accommodated. But I heard they're renovating and will try to increase seating capacity. The ambiance is okay. Just alright for chill and catch dinners with friend. 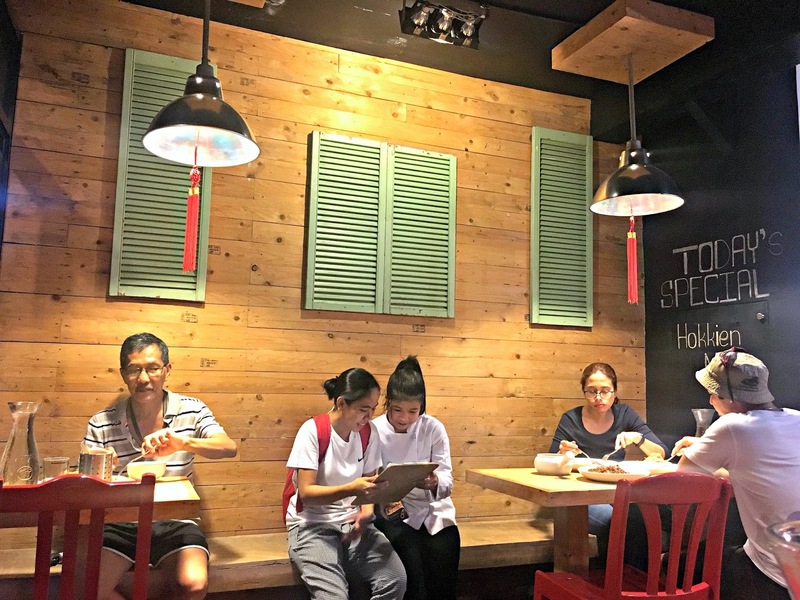 I'll update this post with pictures everytime we visit and try new dish. But for now, on to more Lilac food trips. Hopefully. Hihi. 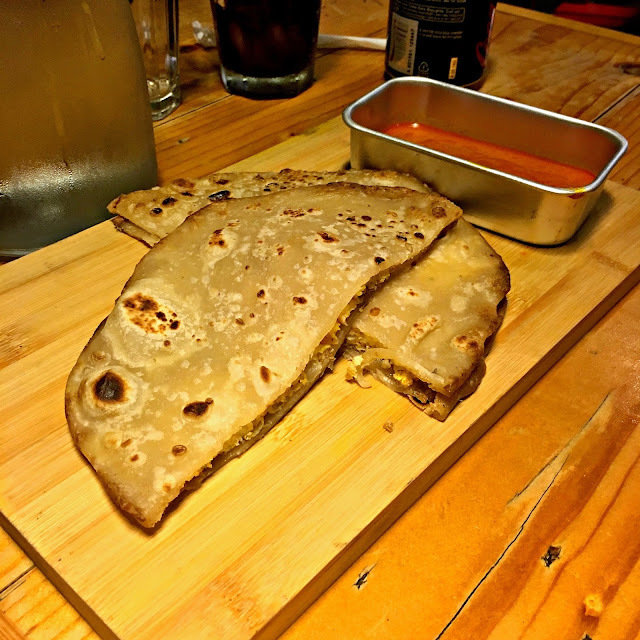 The Roti Prata looks delicious, I could have one right now. What does it have inside? 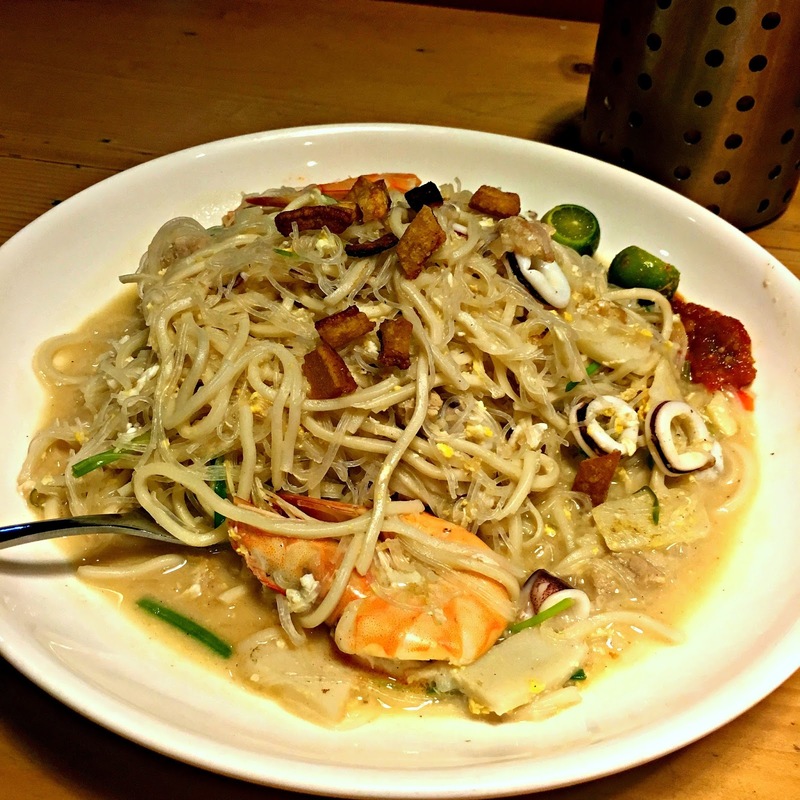 The Hokkien Mee would be my choice for the main course. It sounds like the perfect dish for me. Shame they didn't have laksa. That's always a reason to return. Maaya! I like their noodles! All of them, actually I favor Hokkien Mi above the others. LOL! Looks like a good place to eat as place looks cozy and because I happen to like noodles. Me, being Chinese, probably is one reason. I was a resident of Marikina for more than 15 years and my stay was pretty fun and enjoyable. There wasnt that much restos around. And the Lilac street is just plain houses. I envy those who remain loyal to Marikina and didnt change address. They are now enjoying Lilac Street and other cafes slowly making names. I wish to visit Marikina soonest and try that diner. The pasta looks delish. Interesting! I will have to check out Lilac St. in Marikina soon. 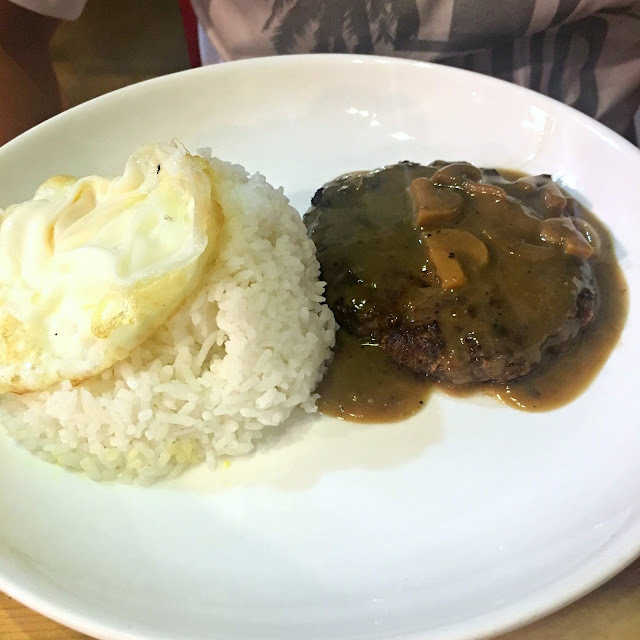 My wife and I always go to Maginhawa st every month to eat after our check up. Atleast, Marikina is so much closer to Cainta already. Not really a fan of Singapore dishes but I'm willing to check out your most recommended food there. This looks like a really interesting place to eat. I can imagine the combination of two different countries would make for really tasty dishes. The chicken curry looks really good. Another restaurant that's worth the try! Sadly, it's in Marikina and too far away from where I live. :( If ever we'll be going to that area, we might as well try it soon! I love Singaporean food because I grew up in SG! Didn't know there was a foodie district in Marikina. Thanks to your post, I may pay a visit to the area soon! That roti looks good! This restaurant seems interesting. And also, i just realized I never had a singaporean food before. Lol. Gotta add that on my must-try list. WHoah! Food looks delicious and mouth watering. Two countries and the dishes! nice concept!